As promised, here is the link to my guest post on “Ramadan: An Event to Share” entitled Memories of Ramadans Past in Aden, a Southern City on Gheza-E-Shiriin . Click here for my guest post. Do share your thoughts. I tried to capture Ramadan as I remember it in Aden/Yemen. In a big pot put the meat and all the other ingredients listed above . Take a big spoon and give it all a good mix . Then turn the heat on medium high and place the pot on top and let the mixture heat up . You want the meat to change color , and sear on each side . Once it has seared place the cover on the pot and let cook for half an hour under medium heat . You will see a gravy start to accumulate . 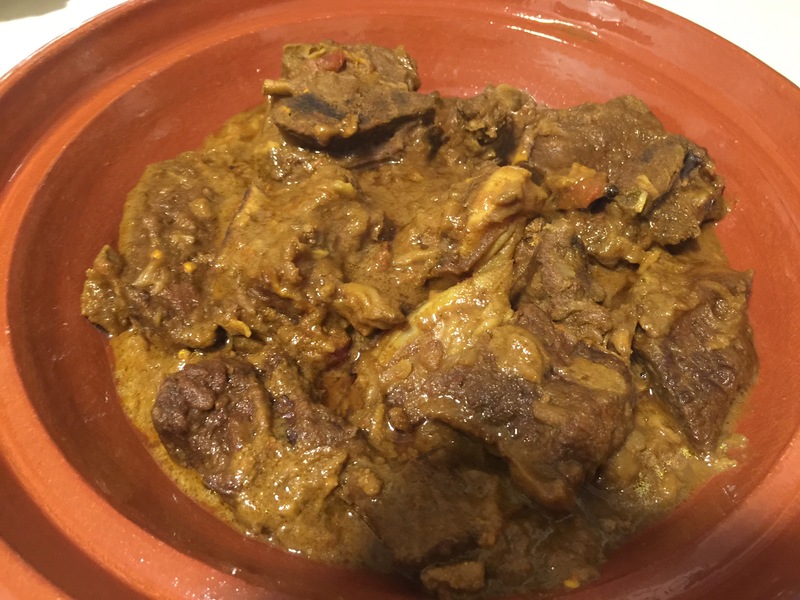 After half an hour , add two cups of hot water and cover and let cook for at least an hour and a half or until the beef is cooked through and you have a nice thick gravy. Serve either wirh bread or on a bed of white rice . 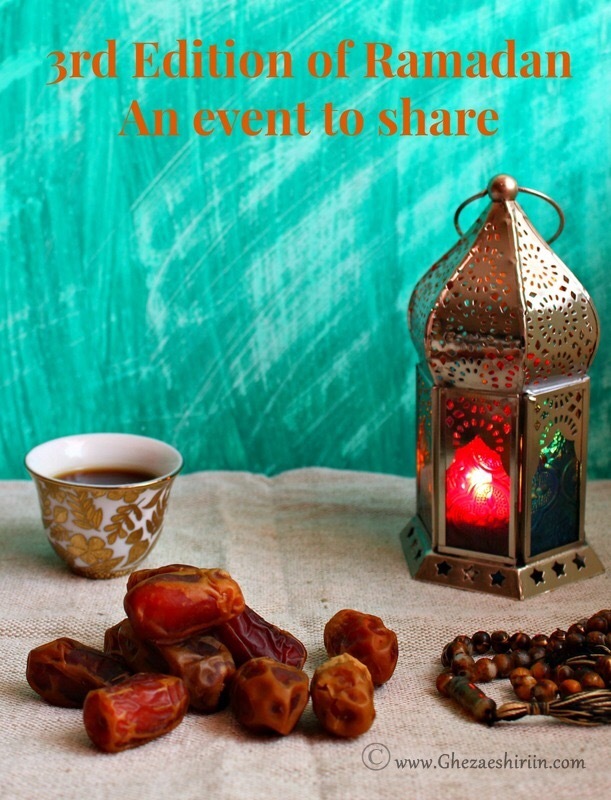 Will be sharing a guest post I wrote about Ramadan in Aden/Yemen, along with a few recipes, in the “3rd Edition of Ramadan An event to share” In Sha ‘ Allah . My contribution will be posted on the 17th of Ramadan ( 22nd of June). Will post the link on that day. Stay tuned . Massage the chicken with the seasoning. Make sure to get some into the cavity of the bird. Cover with plastic wrap and leave in the refrigerator for 2 hours. After two hours, heat the oven to 400 degrees Fahrenheit. In an oven safe dish add some water–about 2 cups. Then take an empty can and fill it with water and place in the middle of the oven safe dish. Now perch the bird on the can . Like this. Place in the oven, center rack. In an 1 hr and a 1/2 it will look like this. Remove from oven, and let stand for 20 minutes. Remove from can, and serve . CHECK OUT RAMADAN REFLECTION 4 . My Mom reminded me of this yesterday when I sent her pictures of the beautiful papaya I found at that Farmer’s Market. I’ll add the pic of the papaya I got at the end of this post. This is a lovely thick, icy, fruity, sweet, refreshing drink. In Aden it is sold in the markets on hot summer days. After a long day of fasting in Ramadan you’re body will welcome this with open arms. Just remember to make dua for me. Blend the papaya unit it is smooth, you can add a little water or preferably ice cubes to this while you are blending it. But make sure it is smooth. Now you are ready to assemble. Take a glass pour 1 tablespoon of Vimto and swirl it around, then spoon half a cup of papaya and pour 1/4 cup of milk , then spoon the another half cup of papaya and a 1/4 cup of milk. Then add 1 more tablespoon of Vimto on top. Take a straw and swirl the mixture around gently. Add the scoop of ice cream and serve immediately. Enjoy.